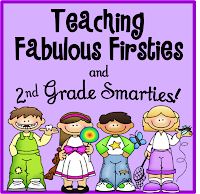 ♥Teaching Fabulous Firsties and 2nd Grade Smarties!♥: New Blogger Blog Hop! 1. I am in Oregon. 2. 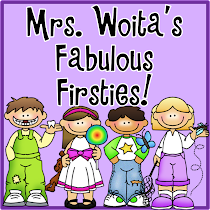 I am going to be switching from 2nd grade to 1st grade...It has been a long time since I've taught first grade. My mind is spinning with ideas for teaching these kids! 3. I have taught since 1992 in 1st, 2nd, and 1st/2nd blend classrooms. 4. I started blogging at the end of June 2012. 5. 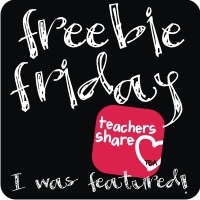 This tip came from Marie at The Hands-On Teacher in First! I copied my info to a "post-it" widget on my desktop, then copy and paste it when I make a comment. Good luck as you make the switch to 1st grade! 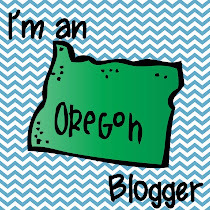 Just found you through the blog hop (which I'm going to have to link up with now since I just started blogging in June) and am your newest follower! Come join my 500 Follower Giveaway that ends tomorrow! Thanks, Amanda! Congrats on your 500th follower! Thanks for creating the blog hop! It is a great idea! The post-it widget is just one that came with my computer, but I bet you can find many others like it to download. I'm so excited to get to teach firsties again! I'm looking forward to sharing ideas this year with my new blogging buddies. Good luck switching grades. I found your blog through the new blog linky. I'm sure you will enjoy blogging about your fab. Hi Corinna! 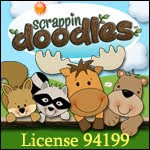 I just found your blog on the blog hop and am your newest follower! Come check out my blog sometime! Thanks, Erin! I'll hop on over! I'm happy to share, anytime! Found you through the blog hop & am now following you! Stop by my blog if you haven't already had a chance and follow! I like how you keep your tag closer at hand. I've been keeping mine in a postdated post far far far into the future, but that requires so much more effort each time I want to comment, so thanks! THanks for visiting my blog, Mrs. D! I'm so happy I joined this Blog Hop. 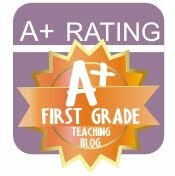 :) Glad to see other first grade teachers are joining up. Thanks for visiting my blog, I am your shiniest newest follower too! Good luck on your journey back to Grade 1. 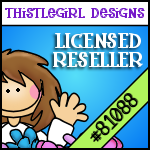 I just found you through the blog hop and I'm a new follower! I love the little girl with the missing teeth:) Lost teeth is such a big deal in first grade! Thanks for visiting my blog! I'll buzz over your way today. I adore Toothless Wonders, so that pic had to go on my header. I saw a pin on Pinterest that someone made a poster just of close-up photos of kids who had lost teeth. I am SO going to do that this year! Yay . . . a West Coast girl. I love Oregon so much - we have a Portland trip planned right before school starts for me in good old (HOT) Cali. My hubs went to U of O and we live and breathe Duck Football :) Glad I popped in today! 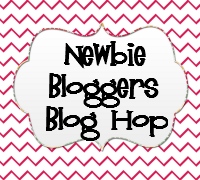 Thank you for finding me on the Newbie Blog hop!!! I am your newest follower!! I have awarded you with the Versatile Blogger Award!!! Come on back to my blog and check it out!! Thanks, so much! I'll hop on over! 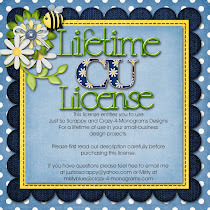 I am so happy that I stumbled across your blog through the linky party! Welcome Bloggy Newbie! I'm glad you found me, Tracy! Your blog is great and I'm a new follower! Just hopping b y to check out your blog and to thank you for following me! I am now your newest follower...:) Going to check out some of your other posts now! Hi I am your newest follower! I have awarded you with the One Lovely Blog Award! Stop by my blog at karmenskindersofroom103.blogspot.com to pick it up! Thanks for visiting my blog Corinna! I'm now your newest follower! It's funny that you're moving from 2nd to 1st grade and I'm moving from 1st grade to 2nd next year! Well, we can share ideas. It has been a long time since I was in first grade. I can't wait! Thanks for following me! Hey there! I'll be moving out of second grade this year also, but I'm moving up to third! If you get a chance, I'd love for you to stop by and visit my blog! Thanks for visiting! I'm your new follower, too! I love your blog!! I just gave you an award! Hop on over and to grab it!!! Thanks for visiting and thanks for the award! I'm following you, too!